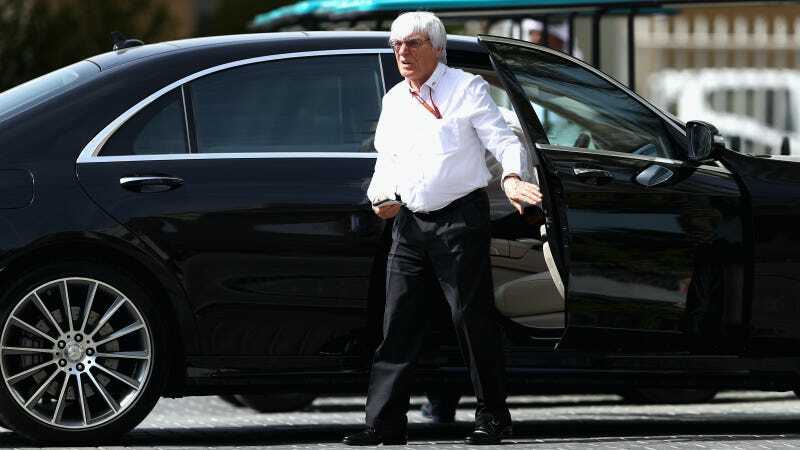 Once again, it’s time to hear the too-polite way of saying “you weren’t doing your job well enough.” This time, deposed Formula One Chairman Emeritus and deranged muppet Bernie Ecclestone is on the receiving end. New F1 chairman Chase Carey said Ecclestone simply wasn’t growing the sport, hence the decision to replace him. ﻿As we looked at the business, we felt that really particularly over the past four or five years the business had not grown, the sport had not grown, to its full potential. And that we needed to put a new organization in place to be able to grow the sport in today’s world in the way it needs to grow, and in some ways work with the partners we have in the business to make sure we can make the sport everything it can and should be for its fans. Nor does Formula One’s occasionally bizarre treatment of social and online media, such as the series’ request that driver Lewis Hamilton not keep in touch with fans via Snapchat from the F1 paddock. Nor does it allow anyone to post embeddable race-day video on Youtube until long after the week is over. Formula One has even requested that we pull mere GIFs in the past, which is a form of media that surely falls under fair use provisions. It’s hard to tell someone to go watch a good race that we can’t tease with a bit of action, y’know? Carey went onto say that Ecclestone’s input would be “valued,” whatever that means. However, the man who let F1 stagnate for the past few years and whose controversial musings often set the internet on fire in the worst ways possible won’t be in charge of growing its fanbase anymore—which is something we’re admittedly jazzed about.